Post-panel interview with Anna Schlegel, Globalization DIRECTOR @NetApp , Women in Localization Co-Founder, and Executive Board Member. Hi Anna, most of your studies were related to language and linguistics field. However, when we leave academia and enter the business world, we frequently discover that there are many other skills and competences necessary to succeed. Tell us about the skills you feel are most important and any advice you want to give to women that are just starting their careers in large organizations? Can they be successful without a degree in business? When I left academia I was 23, I had held a professional job since the age of 17, so going into work was not a huge shock. I had done small jobs since I was 13, however, I quickly saw how easily it would be to feel intimidated when I got to the States and entered my first corporate assignment. My first job high-tech was for Cisco in San Jose, California. I think I was 26 and I thought I would not make it. I was in meetings with people talking about objectives and paradigms and teamwork. Coming from Europe, and from smaller jobs, I was very intimidated, I was shy, I had a strong accent, and did not know the communication dynamics of Americans, let alone corporate America. What worked for me in Catalonia or Germany and made me successful there was all of sudden obsolete, I had to learn a new culture. I had 2 options: quit because I felt I was not capable, or stay, listen deeply, and learn as much as possible even if my stomach was full of knots. So I went for the latter and started observing and analyzing different business roles and models to pick and choose what I considered the best. I also liked to think what I would do in a given situation if it was my own business, this helped me to take even more ownership and really opt for my own approach. Women in large organizations need to go for some strong values and abilities: good communication skills, patience, listening skills, know that tomorrow is a new day, a thirst to learn, and in my opinion often a serving attitude combined with laser focus. Can you share your experiences working at LSP? Was your goal was always to lead localization teams in corporations? Yes, I actually was the General Manager for Acclaro running their West Coast operations in San Francisco. Working at a vendor was the best experience I could have had to complete my globalization picture. I learned empathy for vendors and the full chain it takes to make things happen. I had access to learn about different models and an incredibly dedicated team, and very supportive executive management. To become a leader in this space, it is important to experience different roles to understand all the pieces. I was a QA tester in another life as well, all these pieces make the puzzle that leads you to form the vision to run an enterprise set up. Although the localization industry is growing very fast and offers plenty of opportunities for exciting career, it is sometimes not that obvious how to find the right one and later excel in it. 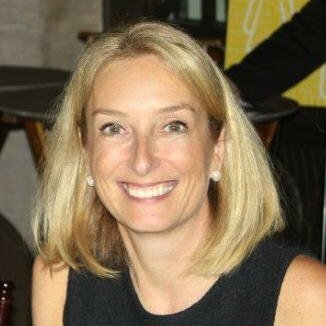 For this and other reasons, Women in Localization launched the Mentoring Program and the first Speed Mentoring session was hosted at NetApp last September. Can you tell me more about this initiative and if you plan to expand it? Also, I’m curious to know what the first feedback was and if indeed the need for such initiatives is so high. Yes, NetApp hosted the very first event for Women in Localization dedicated to Mentoring new comers to the industry. At Women in Localization, we had the idea years ago about owning a mentoring charter, and we finally kicked it off with the help of new Board Members. The Board of Women in Localization is committed to seeing this program through again this year, the feedback was spectacular, and we welcomed women from all over the world. They were coming to NetApp in herds. We set up different stations to learn: from globalization strategy, to geo models, to translation teams, to the art of linguistic review, and internationalization of code. They run the full gamut, I don’t expect anything less from the next one in May, here at NetApp as well. Do you think that the challenges that women face in localization is improving now and the awareness of our business field is increasing? Personally when I’m attending meetings outside localization, people immediately assume I’m a translator when I say I’m working in translation and localization field. We need people like you to help elevate the art of globalization and explain that this is not about the business of translation; we are in the business of letting companies succeed and expand internationally. Without your expertise, the business fails. It is that simple. You can ask someone if they would just like to see their product sold in the States in any publically traded company. Go on a globalization strike at any corporation, you will see what happens. What are Women in Localization plans for 2015, there is a lot going on and probably there is yet more to come. Women in Localization just had a fabulous gathering @Box to give insight into Enterprise Globalization teams. VMware, Salesforce.com, NetApp and Netflix opened up to talk about their teams, best combinations, how the leaders got to be and I hope it encouraged thinking. Next, is our mentoring event again at NetApp. We are also participating at GALA in Spain and aligning other major events in the content industry. We also talk about getting down to more real topics like raising kids, having a partner and being in tough jobs, how to do it all half elegantly! You are definitely a living example of a great success in our industry, which was also recognized by your company by giving you two significant awards: NetApp Winner of Living Our Values 2014 and you also received the NetApp Top Achiever 2014 Award. Could you tell me a bit more about this recognition and how this inspired you? Oh wow, you found all of that. How did you find that? I had nothing to do with this. I am very humbled, that is all I can say. You have introduced geo-alignment to NetApp. How is it different from other strategies and what are the advantages and challenges of this method? Geo-alignment is a new industry concept and I created one at NetApp to achieve maximum understanding, cooperation and alignment with each country we want to hit hard in. It helps understand timing, requirements, and exact programs to work on, and not leave anything to chance. A huge goal of that is the concept of building once and reusing many. I don’t like fake work, nor dual efforts and waste. This team focuses on what matters the most and helps avoid duplication. They are the ones having the hard discussions with executives and drive influence back and forth with main program owners who need to design programs that can go global, will be used by the field and will meet the mark with the sales force and channels. You are an extremely active person also outside business hours. You love volleyball and your super kids, and also you are trying to help other children as a Founder of Kenya’s Imagine Educating Everyone. Can you tell me more about it and how do you juggle so many different and absorbing roles with such amazing results? I honestly don’t know. I try to practice the 7 Habits of Highly Effective People. I practice a bit of all my passions each day. I choose my passions very carefully. Organization helps me. I stay away from what is not good for me very quickly. I learned to not have patience for that. But of course I struggle each day like any human! Find what you like and love it, life is short! Martyna Pakula, Account Director at JONCKERS, guides organizations to unlock their potential in the international marketspace and succeed in the global arena. Martyna’s passion for languages and travel made her depart from her homeland Poland and head towards Spain to continue her studies, then move to Belgium to complete her education and embark on localization adventure. It was in Belgium where her career reached cruising speed, however next stop was approaching inevitably. Martyna arrived to San Francisco in 2013 to make her American Dream come true. 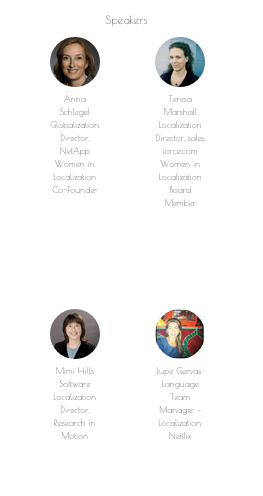 San Francisco, CA – April 29, 2015 – Women in Localization (W.L.) announced today the launch of “Mentoring Matters” program on May 14 @NetApp’s HQ in Sunnyvale, Calif. The event will feature an introduction to the program, best practices for mentoring and being mentored and a hands-on role play. Members are encouraged to bring business cards. The “Mentoring Matters” program will include mentors and mentees of all experience levels from both the client- and agency-sides of the localization industry. On that day, W.L. Board Members Loy Searle and Teresa Marshall we will lead us by introducing the overall structure of the program, whose foundation includes best mentoring practices leveraged from a variety of programs, including the well-known TGROW program, an acronym that stands for Topic, Goal, Reality, Option and Way Forward/Wrap-up. The goal of the program is to teach and demonstrate mentoring in a structured manner, which encourages each mentee to explore their own, personal wisdom in an environment of accountability that aligns with their professional an personal goals. Women in Localization, the leading professional organization for women in the localization industry, is pleased to announce the launch of the Women in Localization Japan chapter (WL JP). The history of localization business in Japan started in mid 1980s, when Microsoft and other major software companies established their Japanese offices in Tokyo. This provided a wonderful opportunity for motivated women armed with strong language abilities to show their potential in documentation localization, QA and project management prior to the enforcement of the Basic Act for Gender-Equal Society in 1999. “We are very excited to formally launch our first Asian chapter of Women in Localization. We hope this chapter will soon be followed by other Asian chapters, especially in China and India,” says Eva Klaudinyova, co-founder of Women in Localization and Executive Board member in charge of international expansion. The official launch of Women in Localization Japan will be held at the NetApp Office in Tokyo on March 13, 2015. This will be a get-together to give members a chance to meet and find out more about the plans for the Chapter. All new members are very welcome. Want to move forward in your Localisation career? Women in Localization UK (WL UK) is holding its first event since we launched our chapter in December 2014! Join us on a panel discussion about Moving forward in your localisation career sponsored by Larsen Globalization and TripAdvisor. If you are not currently a member of WL UK and would like to join our group, please register here. After registering, we will send you an invitation to join our LinkedIn group where we will share details about all upcoming events. A Look Inside Enterprise Globalization! There are many models for achieving enterprise globalization. This event will feature panelists from NetApp, Salesforce, VMWare, and Netflix as we explore team organizational structures, pros and cons for different program models, and career potential for people new to the industry. For more details about this event and to RSVP, by March 10th, Please look Here. Women in Localization, the leading professional organization for women in the localization industry, is delighted to announce the launch of their first international chapter in Germany. Demand for localization services is extremely high in Germany and a great number of top companies have their global headquarters in Germany. Among them are Cisco, NetApp, Adobe, AMD, Fujitsu-Siemens, O2, Oracle, Red Hat, SAP, Texas Instruments, Google, Sony-Ericsson, Motorola, NEC, Yahoo, Sun, Precision Plus, McDonald’s and Microsoft. “It is exciting to see so much momentum with the launch of our global chapters. Clearly, there was a need and we are delighted to support and enhance the careers of so many exceptional women working in the localization industry here in Germany, explains Anna N Schlegel, co-founder and Executive Board Member of Women in Localization, overseeing the launch of this Chapter. The inaugural event of the Women in Localization Germany Chapter will be a virtual meeting in December 2014. To attend, please watch for the meeting announcement in the LinkedIn group Women in Localization – Germany Chapter. Women in Localization 2014 Holiday Party! Please join us to celebrate a phenomenal year of international growth,the launch of our mentoring program, and the diversity that makes Women in Localization so unique! Tuesday, December 2, 2014 at 6:00 p.m.
SimulTrans provides website, software, and document localization services, into over 100 languages. Celebrating its 30th annivesary,SimulTrans has enabled thousands of businesses to provide high-quality content to their international customers. Management ownership allows an exclusive focus on customers and quality, as exemplified by ISO9001 and EN15038 certifications. SimulTrans is proud to be home to many powerful women in localization, representing a majority of the company’s directors. In addition to its headquarters in Mountain View, California, SimulTrans has offices in Boston, Berlin, Dublin, and Tokyo. 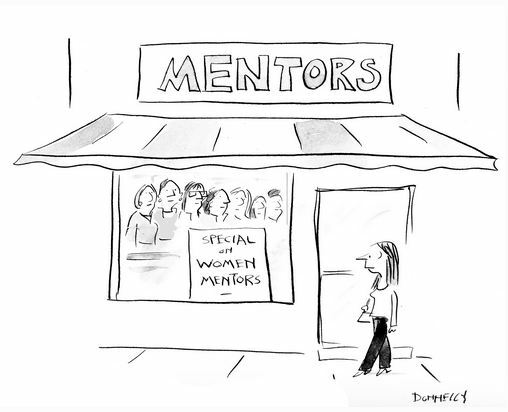 Professional women working in the localization industry in the Pacific Northwest now have a place to go to find mentorship, networking, and professional development. Women in Localization, the leading professional organization for women in the localization industry, is pleased to announce the launch of the Pacific Northwest Chapter (WL PNW). The Pacific Northwest region, encompassing Washington, Oregon and British Colombia, Canada, has a long history of technology. Some of the world’s leading software and high-tech companies were established here over 30 years ago. The growth of these companies, including Amazon, Adobe, Expedia, Facebook, Nintendo, Microsoft, Hewlett-Packard Co., Starbucks and Xerox, led to a concentration of localization professionals in cities such as Seattle, Portland and Vancouver, B.C. The inaugural event of the Women in Localization Pacific Northwest Chapter will be held in Seattle on September 9, 2014. This networking event, planned in conjunction with WL Board member Stephanie Gabriel and WL Member Courtney Hendricks, will give all members a chance to meet and find out more about the plans for the Chapter. All new members are welcome. To attend, please RSVP http://womeninlocalizationpacificnwin.splashthat.com/. Women in Localization is planning our next event. This time, we are focusing on our newly formed mentoring program. This program has been a work in progress for a few years, and we are ‘over the moon’ to launch it under the guidance of Loy Searle and Teresa Marshall. – our newly added Board Members (learn more about Loy and Teresa here). The upcoming Speed Mentoring event is scheduled for Thursday, September 25 at NetApp’s global HQ in Sunnyvale, CA. The event will feature mentoring opportunities across a variety of functional areas, and Women in Localization is seeking professional mentors with 10+ years’ localization industry experience and a willing heart. Our Women in Localization organization is delighted to announce the launch of their first international chapter. The inaugural event of the Women in Localization Ireland Chapter was held in conjunction with the Localization World Conference in Dublin, Ireland on June 6. Read more about our first Chapter in Ireland here!